There’s duct cleaning, and then there’s deep duct cleaning. Although you may not know the difference, you’ll be able to experience the results as the air in your house is much cleaner. At Dust Doctors, we utilize a range of methods to ensure that the ducts in your home are FULLY clean from end to end so that your home is environment is a healthier place to live. How do we achieve this? Read below to find out more. ● Air Whips. Air whip systems are a new technology that use air pressure instead of brushes to remove dirt from inside the ductwork. For more sensitive duct channels it can blow the air off without abrasion. ● Spinning Brushes. Rotary brushes are the standard tools that we use to clean equipment throughout your entire system. Brushes can remove the toughest dirt and grime from inside the ducts. ● Suction Vacuum. Whether you need an HVAC cleaning or a vent cleaning, we can use high-level suction to get all dirt and debris out of the ducts and unit once we’ve removed it from the surface via the brush or the whips. All dirt is sucked out of the system and into the holding tank on our truck. No dust or debris lands in your house. During the winter, small animals and pests burrow in your home in hopes of surviving the winter. 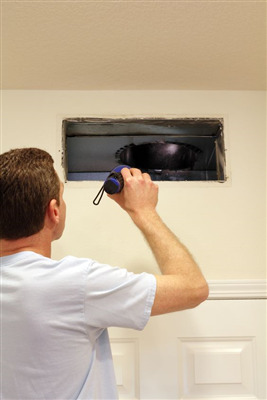 Air duct pest control cleaning is part of the process of restoring your entire heating and cooling system. From rats, mice, and snakes to cockroaches and spiders, we can find and kill all creatures nestling in your ductwork and the central unit. Having zero pests in the house creates a safer environment for your family during the winter months. Dust Doctors has built a reputation as Minneapolis and St. Paul, Minnesota’s premier HVAC, duct, and vent cleaning company. We combine advanced technology with highly trained technicians to deliver superior results you can count on. To schedule a cleaning this season, call us at 651-319-9777, or you can message us on our contact page. « Sign Up for Our Annual Plan, You’ll Be Glad You Did!